We, people of faith and moral conscience, reclaim Valentine’s Day as a Day of Revolutionary Love, Day of Rising. We resist all executive orders and policies that put people in harm’s way. We commit to fight for social justice through the ethic of love — love for others, our opponents, and ourselves. 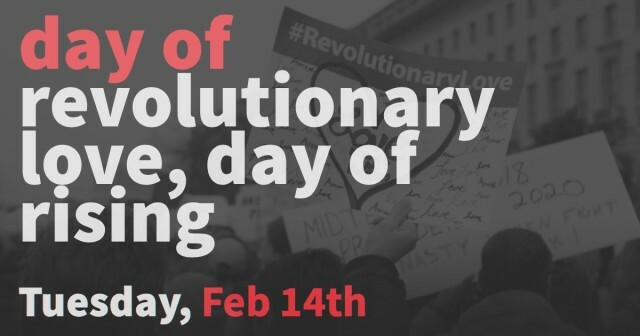 On Valentine’s Day, we will rise up across the U.S. and around the world in music, poetry, dance and engage Congress to declare that #RevolutionaryLove is the call of our times. We claim February 14th as a Day of Revolutionary Love, Day of Rising. We declare our love for all who are in harm’s way, including refugees, immigrants, Muslims, Sikhs, Jews, LGBTQI people, Black people, Latinos, the indigenous, the disabled, and the poor. We stand with millions of people around the globe rising up to end violence against women and girls (cis, transgender and gender non-conforming) who are often the most vulnerable within marginalized communities. We vow to see one another as brothers and sisters and fight for a world where every person can flourish. Rise up with music, art, poetry, and dance! On Valentine’s Day, women and men throughout the US and in 200 countries worldwide will come together and RISE to end violence against all women and girls (cis, transgender and gender non-conforming) as part of V-Day’s massive annual One Billion Rising campaign. In NYC, join us in Washington Square Park for an Artistic Uprising & Call for Revolutionary Love. Together we will stand in solidarity and declare our moral resistance grounded in love. Click here to find an event near you or create your own as part of #1BillionRising. 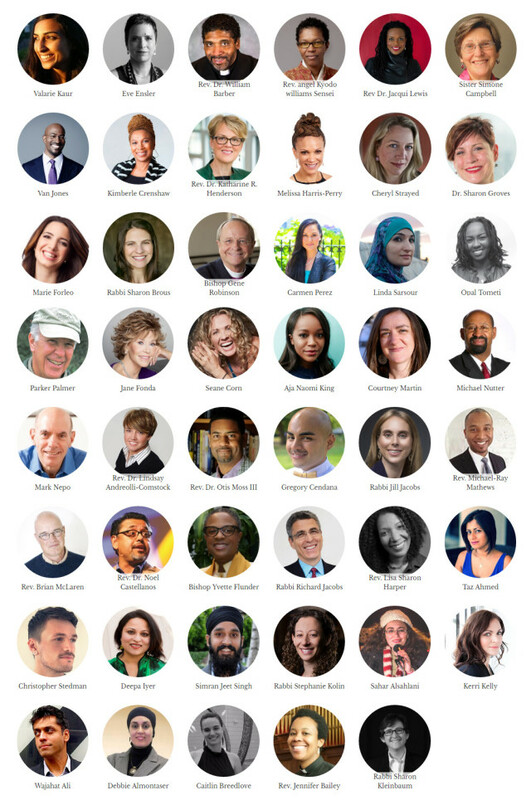 Post “#RevolutionaryLove is… ” and fill in the blank with an idea, story or photo that shows what love means to you. Got some paper handy? Write a love letter or make a Valentine. Cut out a heart from a piece of paper, write your note, and post a picture. Use hashtags #RevolutionaryLove #WomensMarch #LoveArmy to be retweeted! Millions of us marched. Thousands of us rallied at airports, held vigils, called Congress, supported legal action, and flooded social media with our voices to protest the executive orders. Together we helped win a restraining order against the Muslim and refugee bans. This is a moral victory, but the fight continues. Will we burn out? If we let fatigue or despair overcome us, then yes, our resistance will fizzle. Worse, we will start to mirror the same kinds of fear and rage that we are resisting. But if we ground our moral resistance in the ethic of love, then we will be able to sustain our movement in the months and years ahead. Love has been captured by Hallmark cards, sidelined as purely personal and romantic — far too fickle and sentimental to be a political force. But throughout history, prophetic leaders from Gandhi to King built social movements rooted in love. They understood that love is an inexhaustible wellspring that can inspire and embolden us to rise up with courage we did not know we had. 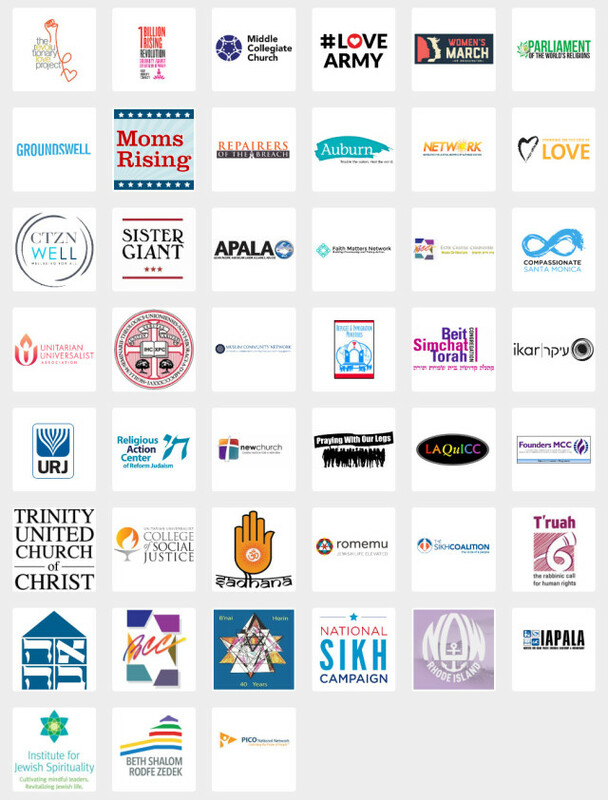 We are a coalition of faith and moral leaders, public voices, and organizations rising up to reclaim love as a public ethic and a way to fight for justice. “Love is not just a feeling but an action. Love is the commitment to extend our will for the flourishing of others, opponents, and ourselves. When we love even in the face of fear and rage, we can transform a relationship, a culture, and a country. Love becomes revolutionary. The way we make change is just as important as the change we make. In this dangerous new era, Revolutionary Love is the call of our times.” — Valarie Kaur, Sikh American civil rights activist. Watch the 6 min video calling for Revolutionary Love. Dear Jane, being from Portugal, Europe, how can i be part of this? Can i? Oh, and once more, my bow to you 🙂 You’re amazing. NOW I will go offline and smile out loud as I ‘dance’ to “FIRM & BURN Jane Fonda: PRIME TIME” with gratitude -for the PRIME TIME series- and especially today for the BONUS MEDITATION encore! I love this! These are great, easy ideas for all of us to participate in. Thank you for sharing! Let’s keep making sure our voices are heard. Jane – My 10 yr old daughter wants to organize a little girl march/movement. On March 8th, International Women’s Day, “day without women” is executed, she wants to do “day without little girls” and boycott school for the day. She wants to name it “GRG – Girls are the Glue”. Instead of school, she wants to organize a beach march in Miami with little girls holding hands across the city. Are you in? Nicki, I think it’s a terrific idea and I send kuddos to your daughter. The 90-year-old Vietnamese monk Thich Nhat Nanh is considered to be one of the world’s leading spiritual teachers and is known for creating the idea of Engaged Buddhism, a method of linking mindfulness with social action. In the video a monk speaks also about Standing Rock. Personally I learned a lot from Standing Rock. The loving and peaceful way to protest was/is one part of that. Yes, Yes, Yes!! I love that this has the self love component. So many times this is left out and we feel drained, exhausted and defeated and don’t know what to do next…Self care Not feeling guilty for taking a break to restore ourselves before continuing! Dear Jane, I’m writing you ask your permission to use your letter to Wells Fargo about withdrawing your funds and closing your account. It’s a wonderful letter. I’m a member of Greenpeace in Denver, CO and would like to share your letter with others as a template for them to use to close their accounts as well. I find the simpler we make things for people, the more involved they will become. yes, Nancy, please do Onward!! The Resistance as of February 21, 2017 from Clermont, Fl. a suburb of Orlando. US Rep. for District 15, Dennis Ross was OVERWHELMED by over 200 thoughtful and vocal patriots who were NOT paid to challenge the Congressman as a fan of the Tea-Party Trump enabler claimed. NOW I am wondering what will Jane Fonda do and write about next?